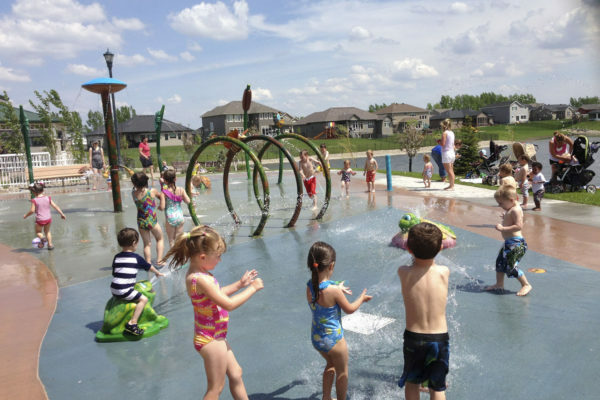 The Shadow Wood Splash Pad is closed for the 2018 season! 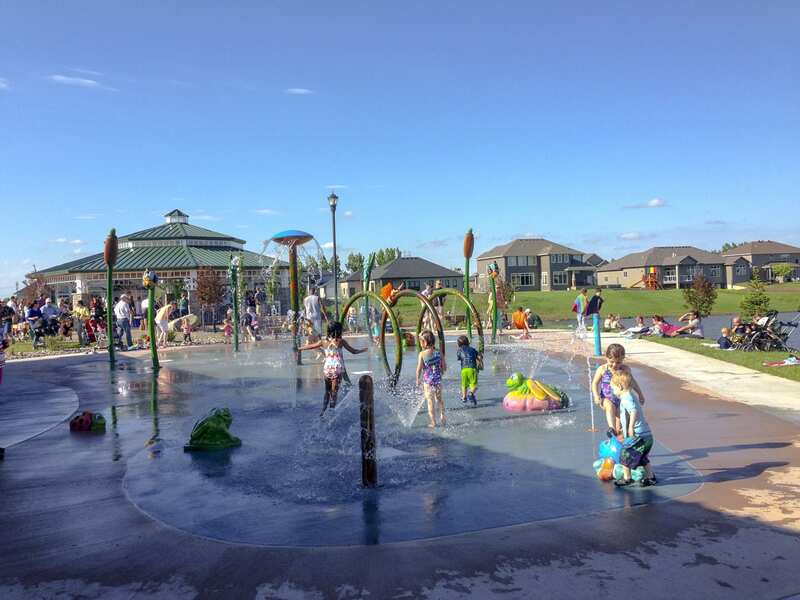 The Splash Pad at Shadow Wood Park is a free park that is open to the public. 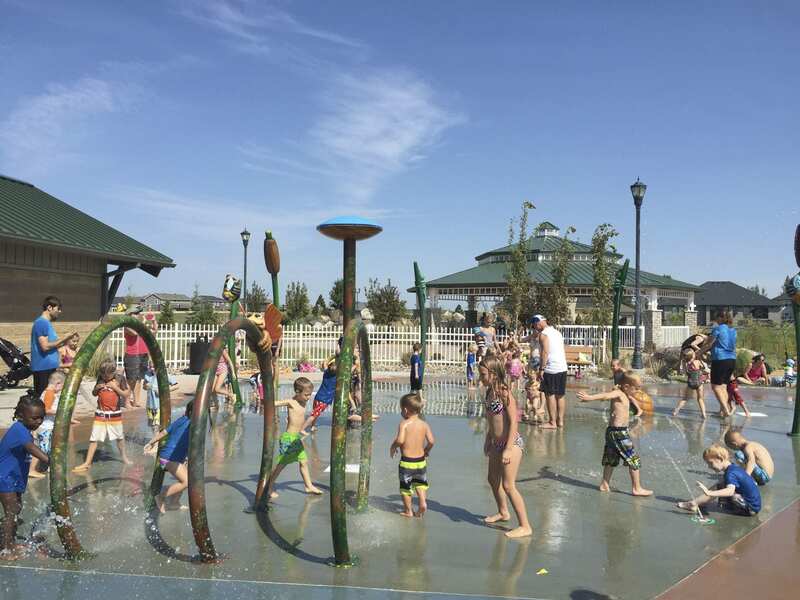 The West Fargo Park District asks that patrons remember to use respect for others, as well as the space when using this facility. 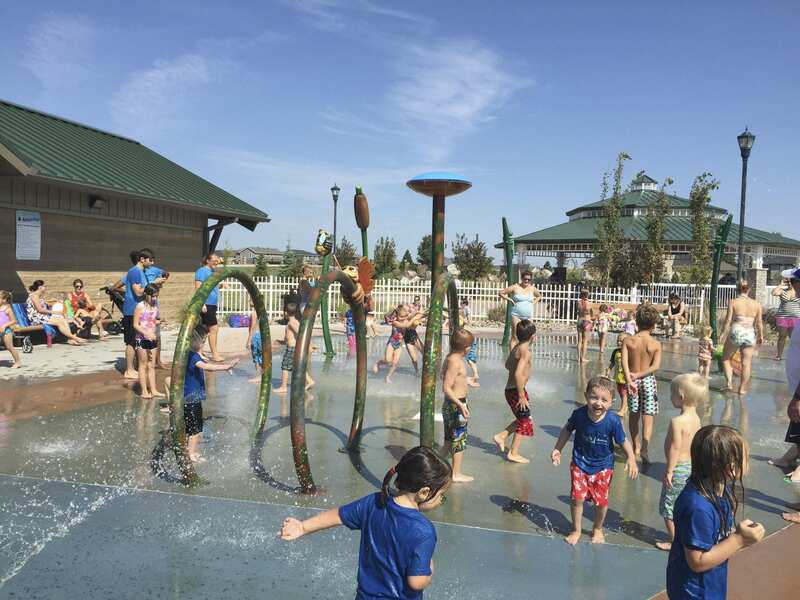 In addition to the Splash Pad, there is a playground, a basketball court, walking trails, outdoor exercise equipment, rest rooms and much more. Concessions will be available to the public. If the air temperature is below 68° concessions and restrooms will not open. 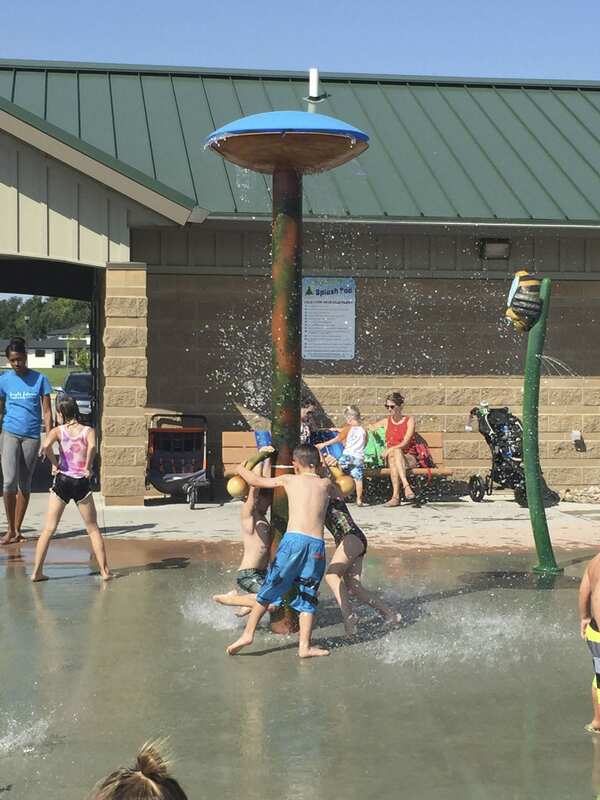 Use Splash Pad at your own risk. All children 10 & under must be supervised by an adult. No running or rough play allowed. 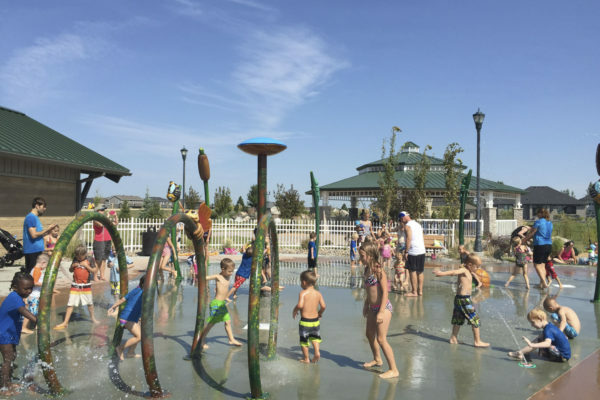 No food, drink or glass containers allowed on Splash Pad. 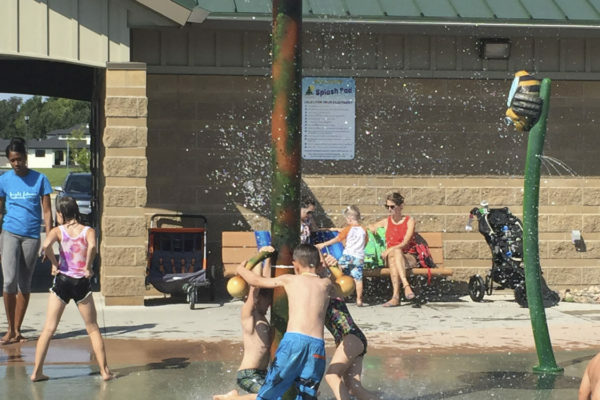 No animals allowed at the Splash Pad. Do not climb or hang on equipment. 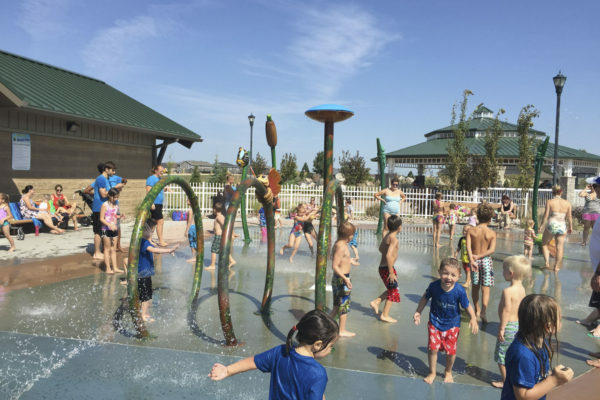 Do not block Splash Pad fixtures or drains. Diaper-age children must wear water-proof/watertight diapers. Persons with open sores, infections or transmittable diseases are prohibited from use. 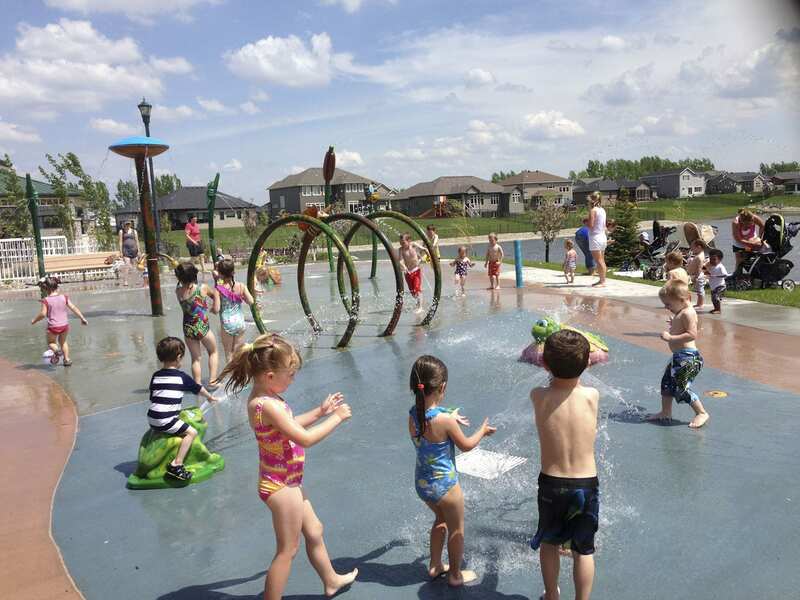 Do not carry sand or mud on to the Splash Pad. No skateboards, roller blades, bicycles, or scooters allowed. 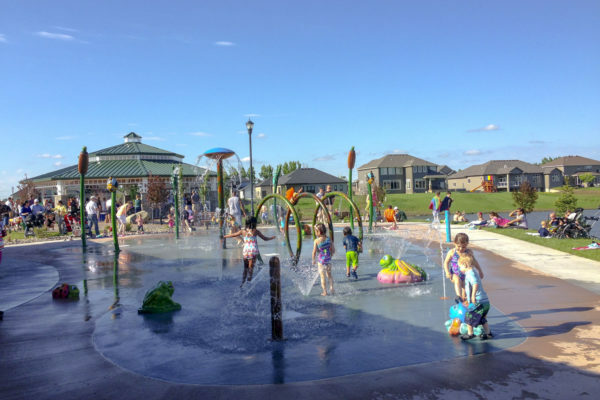 Use of the Splash Pad during severe weather conditions is prohibited. Please use the trash containers and help keep the park clean. *Any person violating these rules will be asked to leave the park.